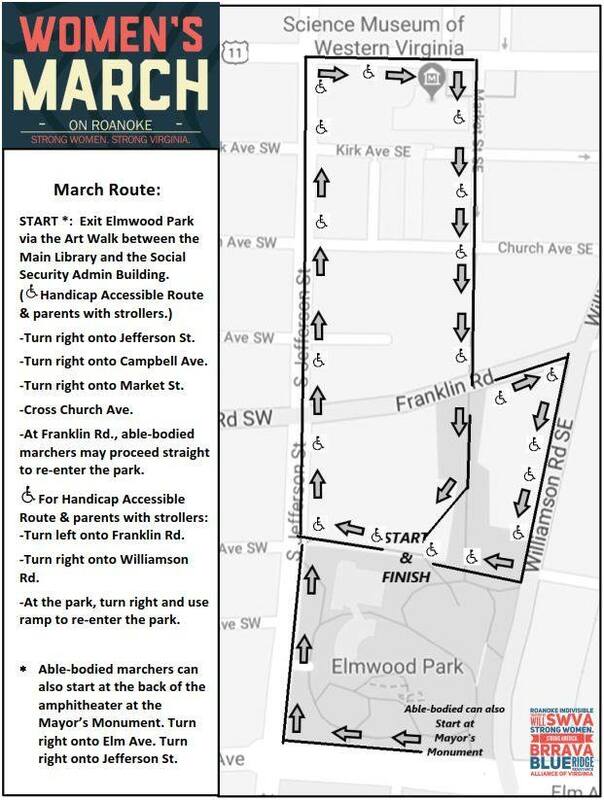 Couldn't make it to the March this year? Still want some cool merch? We've got what you need! The energy at the March was AWESOME but the rain meant we had fewer merchandise sales than in past years. 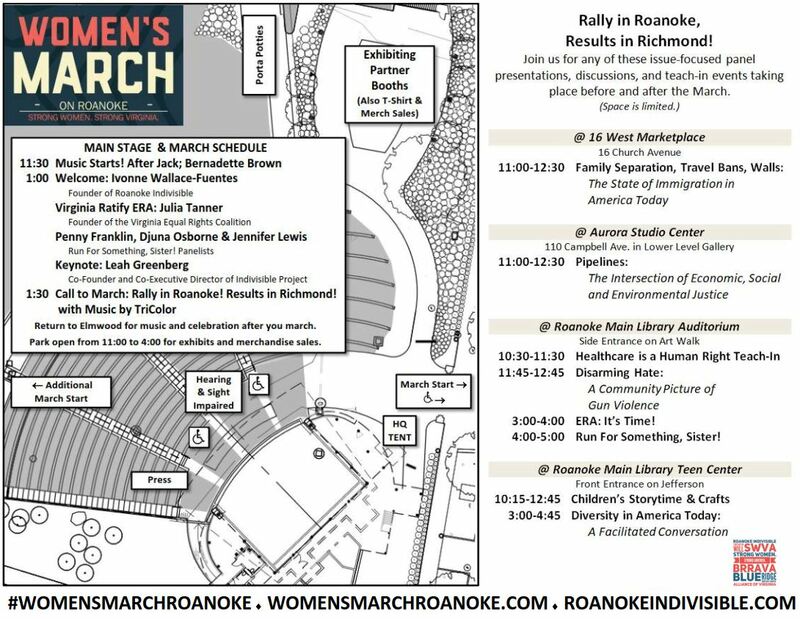 T-shirt and button sales help us fund Roanoke Indivisible actions all year long- we would love your support! Click below to purchase an ERA or Women's March shirt- prices include shipping! Thank you! To print a copy of the schedule, click on the image. Subject to change. Trucks will be on the street by the park. ​Weapons, or anything that looks like a weapon. Sticks of any kind. You can have posters without poles or sticks, or we suggest you recycle old wrapping paper tubes. For information about parking, please see the City of Roanoke web site here. Dress in layers, and keep an eye on the forecast. If there is precipitation, you'll need to dress appropriately. Take a bag with drinks and snacks. Have some cash with you. There will be some food trucks nearby, and we will have some merchandise for sale. Connect with friends in advance and have a place to meet if you get separated, in case cell phones don't work. Bring a quick charger for your phone, as batteries do not last as long in the cold. Bring your signs (please do not bring sticks or poles). *If you're looking for beautiful posters for the March, the Amplifier Foundation has some for free download.